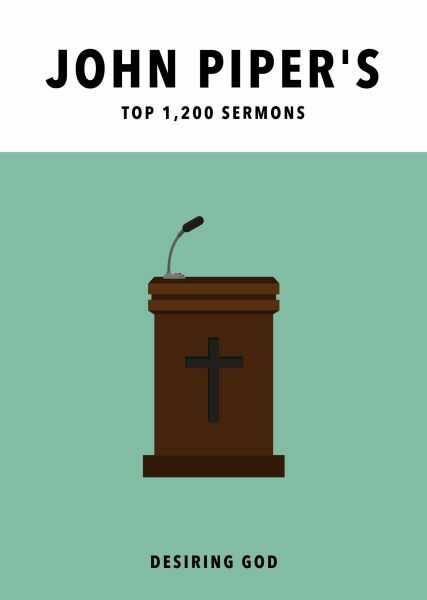 Available for mobile reading for the first time, this is a collection of over 1200 of John Piper's sermons, dating from 1980 to the present and covering a wide variety of topics and occasions. This collection is made available through Desiring God: God-centered resources from the ministry of John Piper. By title: search an alphabetical listing for particular titles. By topic: choose from theological topics such as original sin and justification, contemporary issues such as homosexuality and racial harmony, church practices such as baptism and worship, and many, many more. By occasion: including church holidays, like Advent or Easter, or personal occasions, such as "Disaster." By sermon series: such as "A Hunger for God", "The Beatitudes", and many more. By scripture: choose a sermon based on the text it references, from almost every book of the Bible. By date: from 1980 to 2011.